Global oil prices have risen to a four-year high of $75/barrel. Domestic petrol and diesel prices have soared. The Narendra Modi government abolished subsidies and price controls in late 2014, taking advantage of the crash in world prices at the time. As the next election approaches, Modi will be tempted to return to subsidies and price controls to woo middle-class owners of two-wheelers and four-wheelers. He should resist that temptation. Every prime minister and chief minister makes special efforts to woo voters before an election. The cleverest politicians present well-packaged but minor freebies that don’t seriously dent their budgets. The worst announce massive freebies, oblivious to long-term damage. If freebies could do the trick, most incumbents would be re-elected. That is simply not the case. Anti-incumbent sentiment runs strong in elections, because voters cannot just be bought off. This was emphasised by finance minister P Chidambaram when the UPA was in power. Modi said the same thing before many earlier elections. He should stick to that line. The central budget is stressed. The fiscal deficit last year was 3.5% of GDP, well short of the 3% finance minister Arun Jaitley had originally aimed for. He aims to reduce this to 3.3% this year and 3.1% next year. This leaves little fiscal space for giveaways. That space will be fully occupied by Modi’s promise to raise farm prices to ensure a 50% margin for farmers over their cost of production, thus increasing food subsidies. This will also entail deficiency payments to farmers who sell at below the minimum support price at mandis. During UPA rule, oil shot up from $37/barrel in 2004 to a peak of $140/barrel in 2008, and then declined to a still high $108/barrel in 2014. 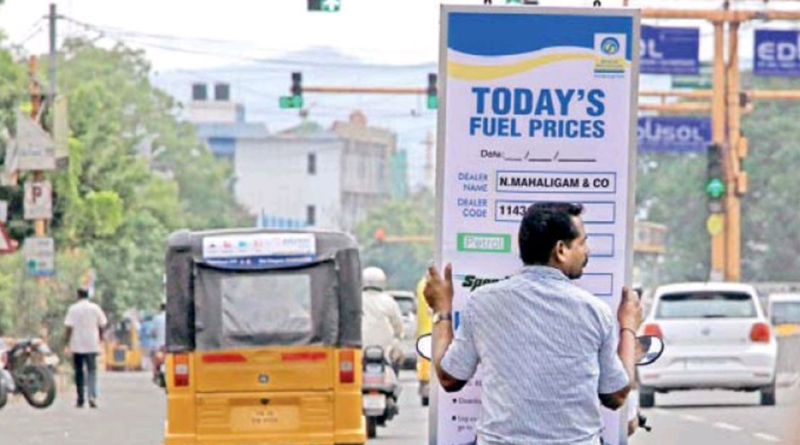 To cushion the impact on consumers, the UPA government slashed taxes on crude, petrol and diesel, forced government oil companies to provide massive implicit subsidies, and added budgetary handouts. That once added up to over Rs 100,000 crore/year. Chidambaram warned at the time that this was crowding out development spending. He hit on the idea of increasing the controlled price of diesel by small amounts every month, pruning the subsidy bill gradually without creating a political backlash. This excellent strategy was followed by Modi on attaining office. Soon afterwards, the price of oil fell so sharply that no subsidy was needed. The government seized this opportunity to decontrol the prices of petrol and diesel, and partially restore taxes on these that had earlier been slashed. Prices went up and down with market trends, without any political backlash. But as the next general election approaches, the Congress is blaming the BJP for rising petrol and diesel prices. Chidambaram has tweeted that the BJP is anti-middle class. He says crude oil is down from $108/barrel in May 2014 to $75/barrel today, so why have Indian petrol and diesel prices risen in this period? The answer, of course, is the elimination of subsidies and tax cuts. In 2014, prices were highly subsidised and taxes on petroleum products had been slashed. Chidambaram aimed to gradually eliminate these distortions and then decontrol oil. He was unable to complete the job when in power, but his aim has since been fulfilled by Modi. This is politically inconvenient to acknowledge, so Chidambaram now castigates the strategy he himself initiated. He will fail to make this a major election issue. Decontrol has taken the politics out of pricing. As long as petrol and diesel prices were government-controlled, an increase of even Rs 3/litre evoked widespread protests. Yet since 2014, prices have risen almost Rs 20/litre without provoking protests. One reason is that small increases spread over months are shrugged off by the public. A more important reason is that oil has been de-politicised. When the government (rather than the market) sets the price of an item, vote banks scream murder at any price increase at all. When I entered journalism in 1965, steel was controlled but not oil. So, petrol prices could fluctuate without evoking protest — that was seen as a market phenomenon. But any increase in steel prices led to massive protests, because it was seen as a political decision. This pattern was reversed in the 2000s, with steel getting decontrolled (and hence de-politicised) and oil getting controlled (and hence highly politicised). Events have proved the need to take politics out of oil pricing. Let petrol and diesel prices fluctuate just as steel or cement prices do. They will be seen by the public as market phenomena, not political ones. If controls return, so will political and economic headaches.